Germany overtook the UK as the most active commercial property market in Europe in 2016 with transactions totalling €59 billion, according to the latest research. Although investment volumes declined 14% year on year, global real estate advisor Knight Frank reports that Germany was established last year as Europe’s safe haven due to its robust economy and relative political stability and the diversity of its property markets. 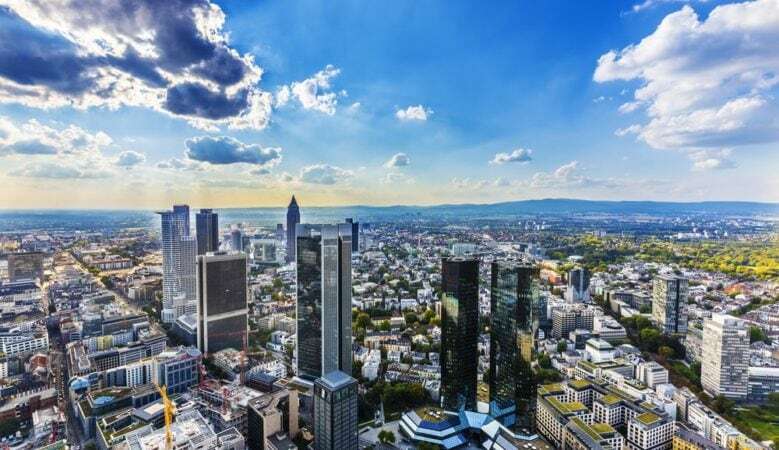 Indeed, around €4.7 billion was invested into Frankfurt’s commercial property last year, and despite a restricted availability of office investment stock, the office sector attracted €3.3billion in capital. Munich, meanwhile, is Germany’s second largest employment hub where around 30,000 jobs are created each year and this is underpinning strong demand for office space. A total of 780,000 square meters of office space was let in 2016, one of the highest totals ever recorded, and was the second most popular German destination among investors, with transactions totalling €5.5 billion. ‘Germany is one of the premier advanced economies in which to invest, and it emerged as the leading destination for real estate capital in Europe in 2016,’ said James Roberts, chief economist at Knight Frank. ‘The economic outlook remains strong, as it continues to lead the recovery in mainland Europe, although with a national election in September some investors may adopt a more cautious stance in the short term,’ he added. According to Joachim von Radecke, head of the German Desk of European Capital Markets at Knight Frank, many property investors are attracted by the diversity in the German market. ‘With seven key cities all with distinct characteristics in terms of occupational demand this will continue to be a key differentiator for Germany versus other European markets,’ he said.